This paper describes a multi-step chemo-enzymatic synthesis of antidepressant drug precursors. The use of biocatalysts in synthetic chemistry is a conventional methodology for preparing enantiomerically enriched compounds. Despite this fact, the number of experiments in chemical teaching laboratories that demonstrate the potential of enzymes in synthetic organic chemistry is limited. We describe a laboratory experiment in which students synthesized a chiral secondary alcohol that can be used in the preparation of antidepressant drugs. This experiment was conducted by individual students as part of a Drug Synthesis course held at the Pharmacy Faculty, Lisbon University. This laboratory experiment requires six laboratory periods, each lasting four hours. During the first four laboratory periods, students synthesized and characterized a racemic ester using nuclear magnetic resonance spectroscopy and gas chromatography. During the last two laboratory periods, they performed enzymatic hydrolysis resolution of the racemic ester using Candida antarctica lipase B to yield enantiomerically enriched secondary alcohol. Students successfully prepared the racemic ester with a 70%-81% overall yield in three steps. The enzymatic hydrolysis afforded (R)- secondary alcohol with good enantioselectivity (90%–95%) and reasonable yields (10%–19%). In these experiments, students were exposed to theoretical and practical concepts of aromatic acylation, ketone reduction, esterification, and enzymatic hydrolysis. Keywords: sec-alcohols; esters; lípase; enantiomers; resolution. 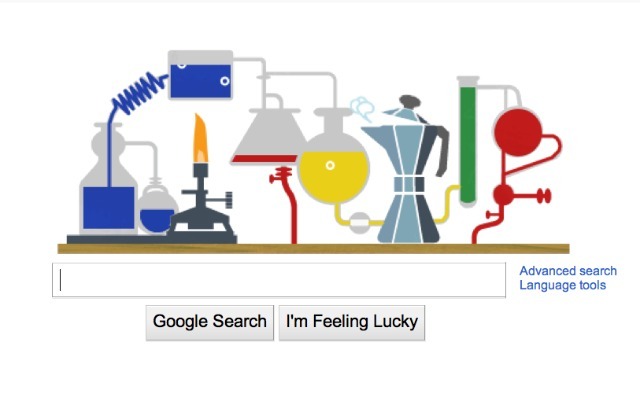 Recently one of my papers emerged through the publication system of Journal of Cheminformatics, entitled “Machines first, humans second: on the importance of algorithmic interpretation of open chemistry data“, co-authored with Antony Williams and Sean Ekins, and incorporated into the JC Bradley Memorial Issue. Spoiler alert: the paper is about how if you’re publishing open lab notebook data without adhering to rigorously defined standards for machine readability, then you’re mostly wasting your time, and arguably making the open data situation even worse than it already is. The tone of the article is a bit less polite than I normally try to be, so fair warning, but it’s all for a good cause. I got a summer internship in a natural product synthetic group, a quarter century ago when I was in high school. It was a very nice lab, doing medicinal chemistry on cardioglycosides, and I really liked it there. But I didn’t realize that the PI from the group wasn’t thrilled to have me (he was asked to take some random kid as a community outreach initiative, and he could not turn it down.) So, I was promptly sent out of the way, to the library. In those days, the literature search used to be done with printed indexes of Chemical Abstracts. It was like slogging away through a supermarket shelf filled with phone books; I spent three weeks doing this. Retosiban (GSK-221,149-A) is an oral drug which acts as a selective, sub-nanomolar (Ki = 0.65 nM) oxytocin receptorantagonist with >1400-fold selectivity over the related vasopressin receptors and is being developed by GlaxoSmithKline for the treatment of preterm labour. Retosibanis an oxytocin (OT) antagonist in phase III clinical trials at GlaxoSmithKline for the prevention of preterm labor. OT antagonism is widely known to inhibit spontaneous uterine contractions. Retosiban is a diketopiperazine nonpeptide compound with high potency and selectivity for the OT receptor over vasopressin receptors. Erik Alexanian and co-workers have reported in JACS on a palladium catalyzed C-H arylation from alkyl halides. 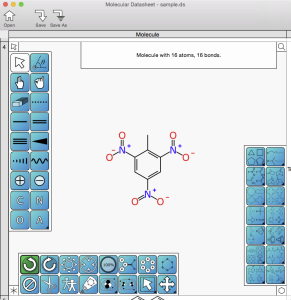 Since the last sneak preview, the skunkworks project “XMDS” – the Mac OS X desktop version of the Mobile Molecular DataSheet app – has gained enough functionality to make another screenshot, this time showing what the actual molecular drawing interface might look like once it’s done. Ofloxacin is one kind of white or almost powder or off-white solid.